Our markets feature the largest selections of fresh fish, live shellfish, and frozen seafood in the Southwest. You’ll also find smoked seafood, caviar, seafood soups and salads, and imported specialty seafood items. Our markets offer a selection of over 70 wines from around the world to perfectly complement your seafood purchases. We also must-have cheese selections from the best artisan producers in the world. In our cheese shop you will find unique and distinct varieties from a selection of domestic and international small producers. 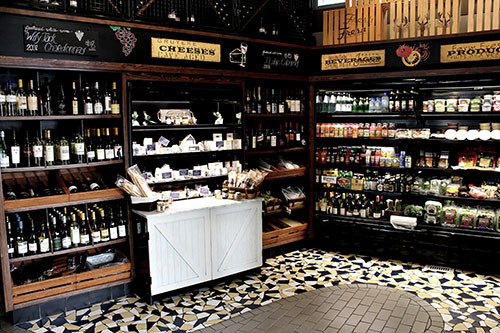 Our markets also feature a variety of gourmet foods like pastas, marinades, sauces, artisan chocolates, and other culinary delights including our line of hand crafted Santa Monica Brand sauces, marinades and our famous Cioppino Base. 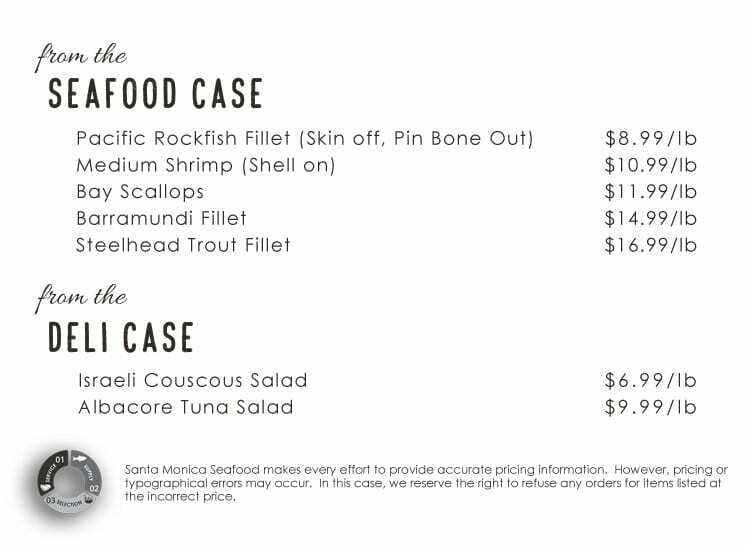 Every week Santa Monica Seafood Market & Café offer a variety of seafood items at a special price including specials on our fresh deli selection and assorted wines. Our eNewsletter includes our weekly café specials, social media promotions and Saturday demo announcements. Every week there is something new so sign up now. Thank you, and welcome!